Treasure at Tampines was formerly known as Tampines Court. It was completed in the year 1984 under Housing and Urban Development (HUDC). HUDC flat was built to serve the growing demand of middle-income earners back in early days offering Singaporean who could not afford private properties and ineligible for HDB flats. HUDC flats yielded for privatization aiming mainly for Enbloc opportunity. Treasure at Tampines occupied a sprawling huge land size of approximately 648,880 square feet. This land was originally 702,164 square feet and about 7% of the land, downsizing of 53,284 square feet. was used to build slip road to cater for the increasing number of units from 560 units to 2,203 units. This road improvement was necessary due to the increase of density from dwelling units. Treasure at Tampines was purchased for $970 million ($676 ppr), higher than the asking price of $952 million. This was their third attempts and owner was expected to receive $1.71 million to $1.75 million depending on the size of the unit. Sim Lian Holdings Limited, other than the sale price, they were required to make another two payment to the state – one for increasing the intensity of the site to a gross ratio of 2.8 to maximum the gross floor area to land area ratio. The other payment was to put back the lease to 99 years from the original 69 years. These two sums worked out to about $359 million. Treasure At Tampines price list here. Sim Lian Holdings Ltd is managed by a group of a determined and strategic team with a vast sound experience of more than 150 years in the Building and Construction Industry. With its strong belief, Sim Lian Holdings Ltd continues to grow and has established a sounding familiar name in Singapore Real Estate Industry. They are renowned not only in building quality homes for families over the last 40 years but also won awards with its excellent expertise in construction. 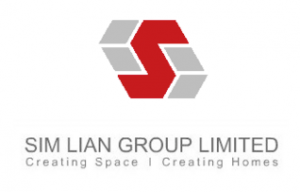 Sim Lian Holdings Limited is working closing with the fully-owned subsidiary Sim Lian Construction Co (Private) Ltd towards stunning and quality developments. Sim Lian Group Ltd has for five repeated years from 2009 – 2013 to have listed among the Top 100 Brands in Singapore. They are identified as the top 10 developers in Singapore awarded by (BCI Asia) during the period from 2015 to 2016. Sim Lian Group Limited was maintained in the list on the Mainboard of the Singapore Exchange from the year 2000 – 2016 for the period of 16 years. This is a truly remarkable achievement that Sim Lian Group Limited has secured. Sim Lian Holding Ltd is reputable for it’s for quality and yet affordable developments. 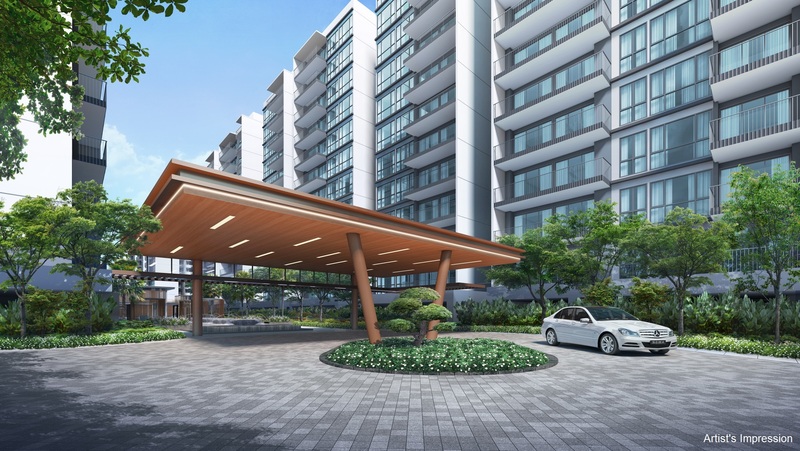 More information on Treasure At Tampines Developer track records here. Treasure At Tampines is built along 1 – 57 Tampines Lane. This Tampines new launch development is ideally located within short stroll to Tampines MRT Station. Simei MRT Station and Tampines West MRT (Downtown Line) are within close proximity. This location is excellently joined to the main roads arteries and expressways. The East Coast Parkway Expressway – ECP and Tampines Expressway – TPE are a stone throw away. Treasure At Tampines location is serviced by two Commerical Centres, namely Tampines Regional Centre and Singapore Expo and Changi Business Park. There are many leading Educational Institutions including International Schools surrounding Treasure At Tampines. The Singapore University of Technology and Design (SUTD), Temasek Polytechnic and UWCSEA East are the few elite institutions near to Treasure. Treasure At Tampines offers many choices of shopping experiences. Eastpoint Mall, Tampines One, Changi City Point, Century Square, Tampines Mall are close by. The all-new Jewel Changi Airport help to enhance the shopping experiences by providing more than 280 retail outlets into the Eastern region segment. More of other amenities surrounding Treasure At Tampines location map. Treasure At Tampines Showflat is built along Tampines Avenue 7, near to Tampines Bus Interchange. It is highly recommended to book for an appointment here or call us at +65 6208 7121 as our Treasure At Tampines Showflat Gallery may be closed at times for maintenance without prior notice. We do extend an exclusive show flat concierge service to our valuable clients too. 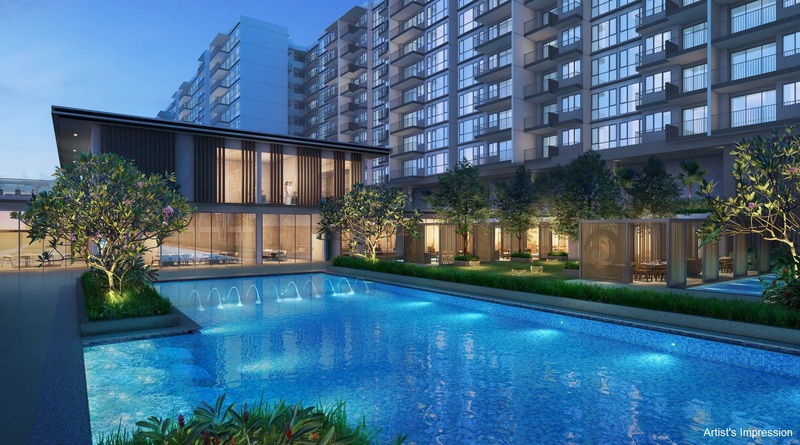 Treasure At Tampines Condominium design approach is based on modern and trendy living. This Tampines condo is structured with extensive utilization of glass panels to draw in light and brightness into the living spaces and it offers a wide variation of daily lifestyle choices. Treasure At Tampines floor plan is assured to give functional and space. Imported high stylish quality fittings are provided from Electrolux and Hansgrohe in all bedroom type. Treasure At Tampines show flat exhibits 4 different bedroom types ranging from the 1 bedroom, 2 + Study, 3 Bedroom and 5 bedroom model. This is helpful as it ensures that clients are able to conceptualise what they are purchasing. You will enjoy Direct Developer Price and Discounts with no commission payable. More information on Treasure At Tampines, do contact us. 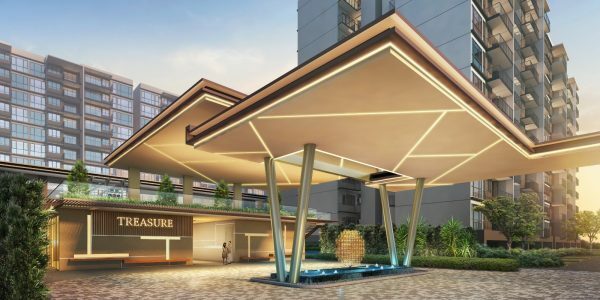 Treasure At Tampines in District 18, is a highly anticipated new launch for the year 2019. This is made possible as the site was formerly the well recognised Tampines Court. It hit the news headline in The Straits Times in the year 2017 for its whopping $970 million as its biggest collective sale for ex-HUDC estate since the year 2007. Treasure At Tampines land size at 702,164 square feet originally and was reduced by approximately 7% to cater for the creation of a new road known as Tampines Lane. This new road is mandatory to cater for the Treasure At Tampines community of 2,203 condo units. Treasure At Tampines has a total of 29 towers offering a full range of bedroom type for selection, from 1 Bedroom to 5 Bedroom. 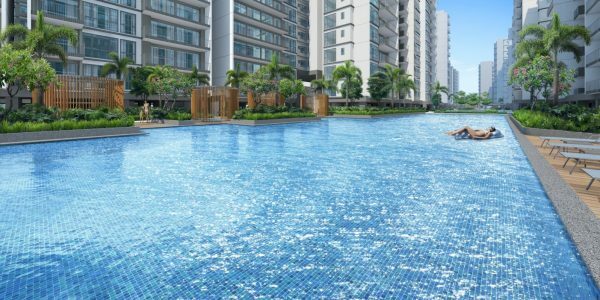 Treasure At Tampines 1 Bedroom starts from 463 -484 sqft. This 1 Bedroom is generally catered mostly for singles. Treasure At Tampines 2 Bedroom has a few variations. The 2 Bedroom Compact is from 581 -614 sqft. The 2 Bedroom Premium ranges from 657 -678 sqft. For a new family nucleus, 2 Bedroom is ideal for them as space is fitted nicely for their family size. The 2 Bedroom plus Study is 678 sqft is one of the other option choices. Homegrown residents typically would prefer to go for a bigger size living. Treasure At Tampines 3 Bedroom is definitely not compromising on the space. The 3 Bedroom starts from 818 -1,087 sqft. There is also an option to have a yard and a utility room. Treasure At Tampines 4 Bedroom is from 1,238 -1,367 sqft. Treasure At Tampines 5 Bedroom ranges from 1,668 -1,722 sqft. Both 4 Bedroom and 5 Bedroom are excellent choices for the multi-generation living who require space. Treasure At Tampines is committed to delivering comfort, functional and luxurious living at an affordable price. This Tampines condo has also incorporated new age technology into the community as an enhancement to the conveniences – Smart Home Living. All units will be fitted with a digital lock for keyless and hassle-free conveniences and an additional tier of security. Smart intercom system enables visitors to visit the premises from a mobile phone. 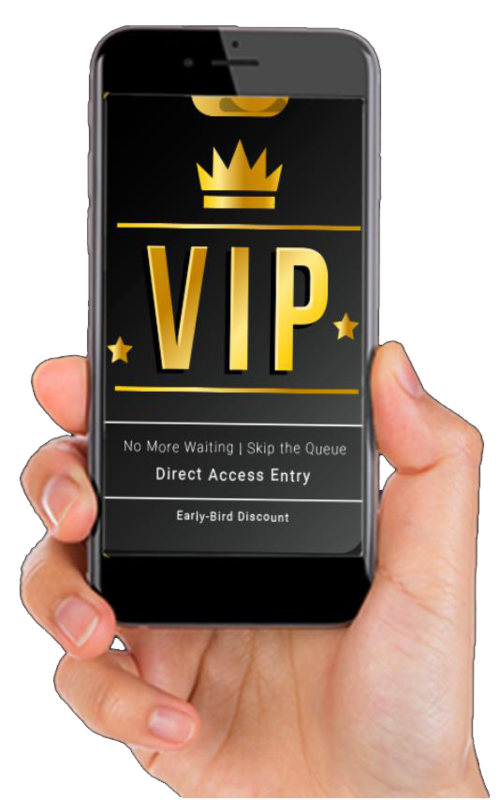 One touch smart community app is introduced for immediate booking of facilities and venues. Free WIFI is provided to stay seamless connection at the clubhouse. Complimentary services like parcel collection station to assist in residents’ deliveries in the event of not at home, instant notification on the visitorship of the 24 hours gym and availability of car washing bay. Treasure At Tampines has a 60-40% split on the site coverage, 60% being the landscaping used at the communal area. The uniquity of Treasure At Tampines facilities offered 128 exciting new features. There is an aqua aerobic pool with aqua gym equipment, trampoline courtyard with trampoline nets. The Crown of Treasure At Tampines is the Treasure Clubhouse. It has a good nine function rooms, one executive lounge, a co-working space ideal for the residents to work independently and collaboratively for better work productivity. Study room, dance and game studios enable those who share the same passion and hobby for inspiration. There is an indoor and outdoor gymnasium for non-restrictive usage too. Treasure At Tampines is a package with a complimentary 1-year bus shuttle to Tampines MRT Station and to Changi Airport. Treasure At Tampines TOP is targeting in the year 2023. To view Treasure at Tampines Showflat plus Get Maximum VVIP Discounts (Only For Limited Period), Developer Price & Printed Hardcopy Brochure. Fill in the form and receive the Treasure at Tampines Price, a copy of E-Brochure and the Latest News Updates!